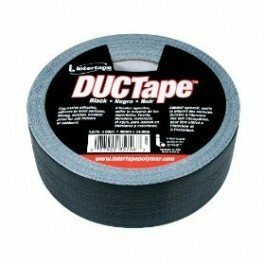 9 mil all-purpose duct tape perfect for general maintenance applications such as wrapping & sealing, weather proofing, binding and bundling. Aggressive natural rubber adhesive adheres well to a wide variety of surfaces and offers a broad temperature range. Great for repair, color coding, & hobbies. If you have any questions about this product by Intertape Polymer Group, contact us by completing and submitting the form below. If you are looking for a specif part number, please include it with your message.